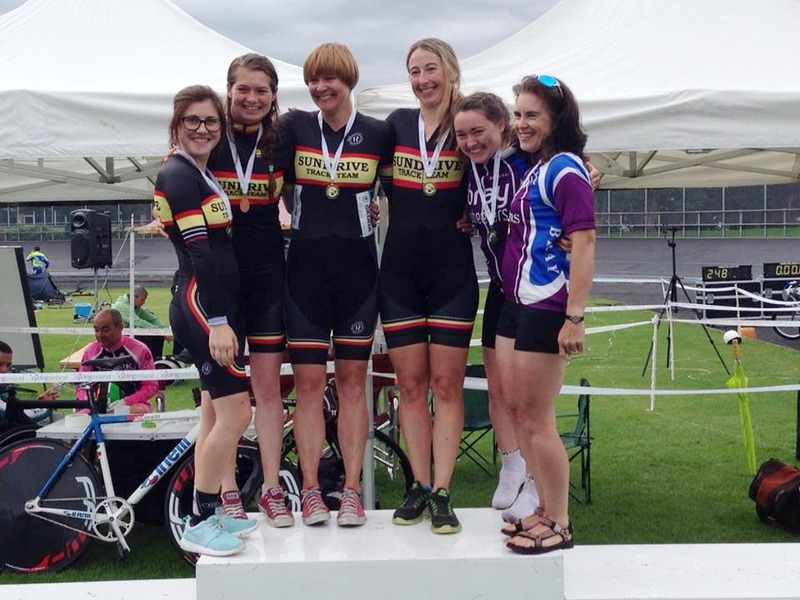 Last week was a great week for National Track Medals with Bray Wheelers teams and individuals scooping up two Silver and a Bronze medal at the team events and junior Track Nationals. Geoff Robinson won the hill climb championships and then followed that up at the weekend with a Cross Country MTB marathon masters win in Carlingford while wearing his XC Masters National Championships jersey. 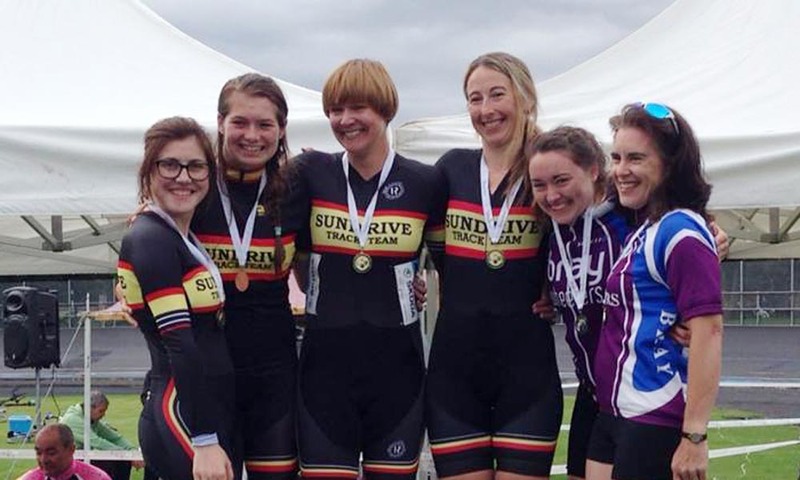 At the Track Nationals (Team events, Keirin and Junior Championships) Bray’s women’s sprint team which consisted of the youth and experience of Deirbhle Ivory and Jane Martin rode a great team sprint to finish in the silver medal position. Not to be outdone the Men’s Team Sprint team of Anthony Clarke, Tony Martin and Jason Howick finished with a bronze medal. In the junior championships Edward Clarke did a great time for his flying 200 and then defeated the Queensland State Champion Sean Grimes (who was fresh from the European Track Championships), in the sprint ride offs. He got himself into the gold/silver medal ride off. Here he came up against Declan Mulholland, where he was unable to overcome the experience of Mulholland. 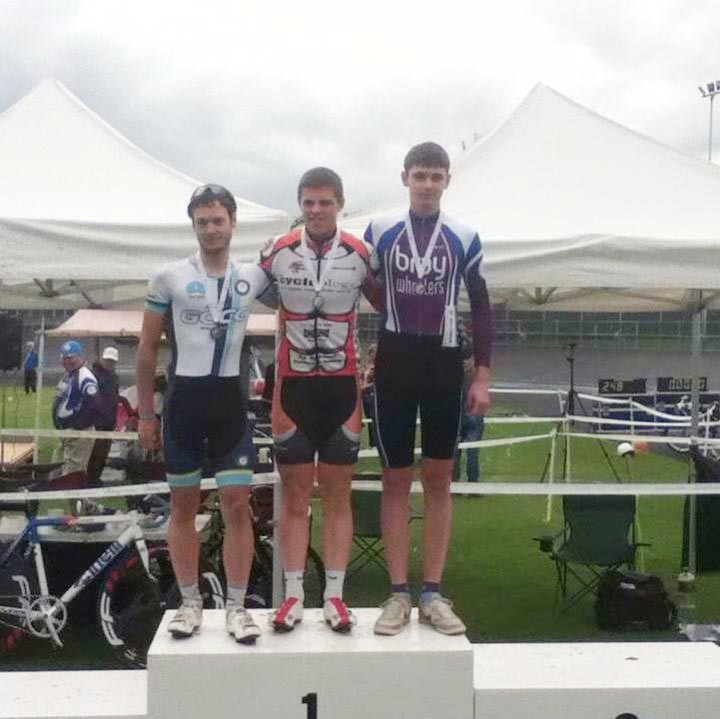 Edward was delighted to come away with the silver medal in what is his first National Championships at the Track. Weather halted completion of the Keirin rounds but Jason Howick managed to qualify for the Keirin semi-final which will be held on the day of the senior Nationals later in the month. The Club Hillclimb championships were held last Thursday evening up Dunran Hill in Newtownmountkennedy and there was a great turnout for this event. This was a tough course with the poor road surface adding to the difficulty. Fastest on the night was the hill climb specialist Geoff Robinson following in second place by Noel Conway who was also first Vet and Mark Murphy in third place. First lady was Sarah Pratt and first junior Anthony Clarke, who finished 6th overall. Following on from his success in the hill climb Geoff went on to win his masters category at the Carlingford XC marathon event the Cooley thriller, in County Louth over the weekend. He did a great ride finishing 5th overall and first master. This was a rare opportunity for Geoff to wear his National Championships jersey, as he is National Champion in this category. Last weeks youth interclub league event was mountain biking in Ballinastoe near Roundwood. There was a great turnout for this and some great competitive racing in all categories. Next weeks event is on Monday night in Corkaigh Park, with the track race the following week. The prize presentation for this league will be held in the clubhouse on August 25th.